Today, I am launching a new category in my blog called “A Few of My Favorite Things” where I share my favorite personal cooking products as well as new items I have tested in the grocery or unique finds for the kitchen, such as today’s post. Just a little background on me, a few years ago, I started a part-time personal chef business called fresh flavors by frankie. What started out as part-time hobby turned into a full-time venture and I quickly realized that I would rather focus more of my time doing what I love best…cooking and writing! Now, I have the best of both worlds as I am a part-time personal chef/nanny for two days a week and a a newbie blogger…my perfect world! My main focus in my cooking is to use the freshest flavors possible (duh)…hence the name, fresh flavors by frankie. 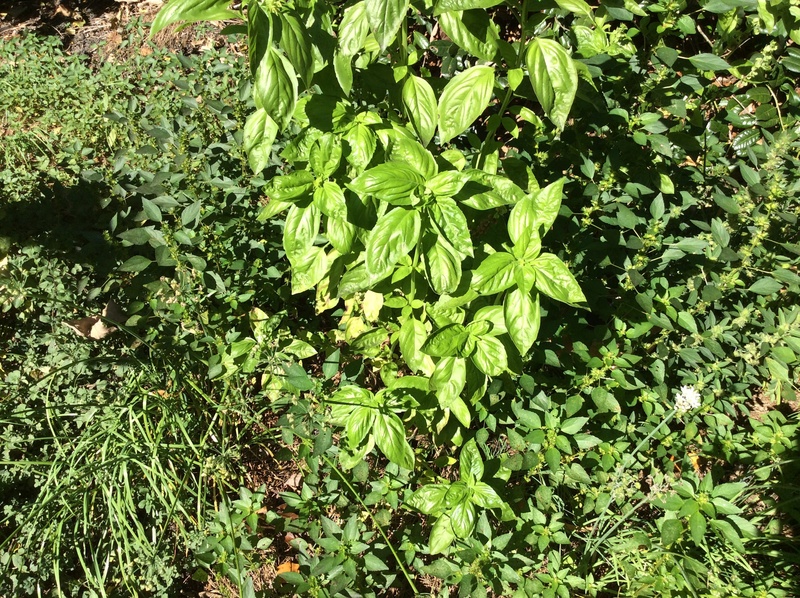 Some of my favorite fresh herbs from the garden….a must for any chef! In my quest, I constantly can fruits, vegetables, sauces, jellies, pickles..you name it…I can (or freeze) it! But it wasn’t until my daughter, Ashleigh’s first garden went out of control this summer, did I realize that we needed another way to preserve. 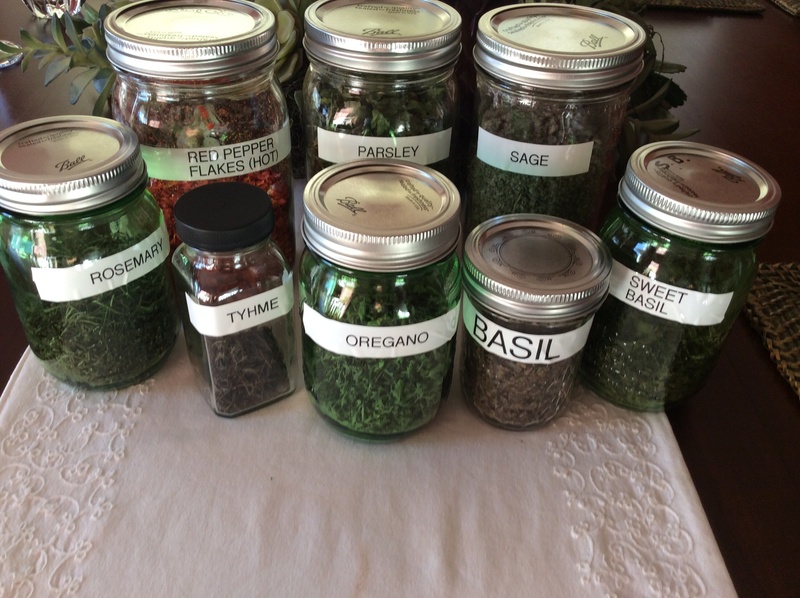 Yes, we canned her vegetables as well as my own this summer, but what we realized we were missing out on is preserving our herbs. And then came my new favorite thing….The Dehydrator! Herbs/Spices: You can’t imagine how fresh the flavor and aroma is compared to the dehydrated spices you buy at the grocery! A variety of of herbs and spices! Fruits: Our first fruit dehydration project was apple chips! We did them plain using Granny Smith apples but there are endless ways to use various fruits and seasonings to create all kinds of culinary delights! 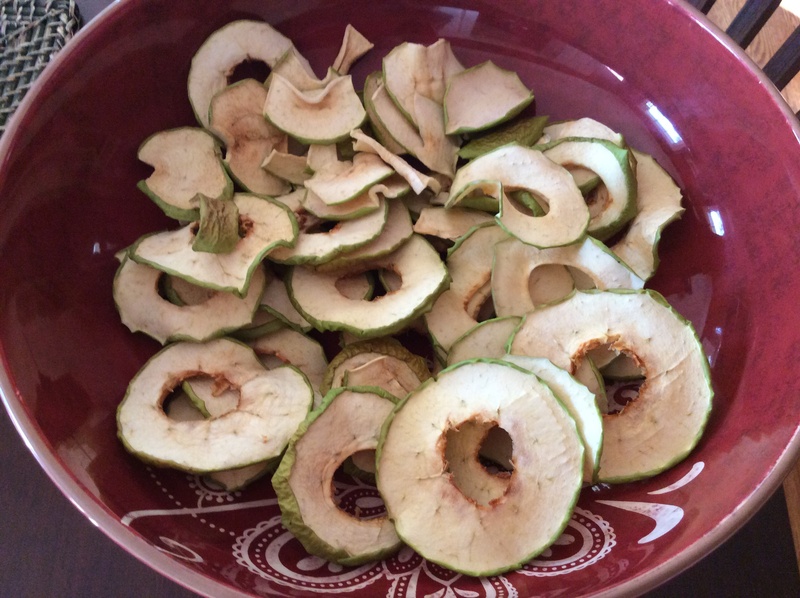 My apple chips…I eat these like potato chips…so much healthier! Bottom Line: You will be so glad to add this product to your kitchen (or laundry room, where mine is…ha, ha). Not only does it give our family wonderful summer flavors throughout the year, but it also saves us money when we can just dehydrate vegetables or fruits that we won’t use before they go bad! 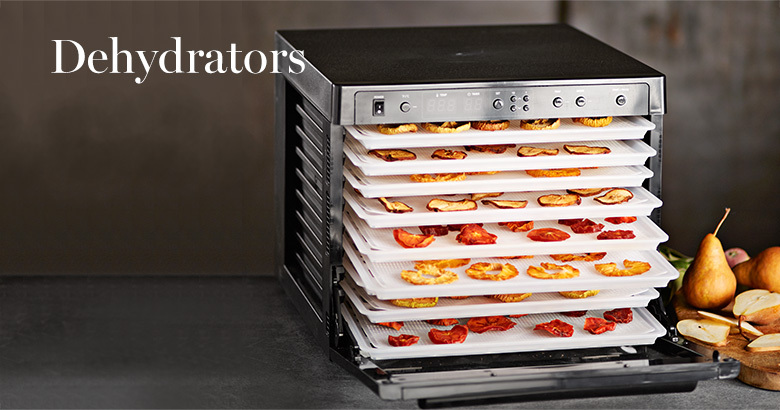 If you currently, use a dehydrator, I would love you to share some of your recipes here for me to try. If you don’t have one, this is a MUST for the food lover! I am Chef Frankie and until next time…”Keep on Preserving”! ← Stuffed Poblanos…A Tasty Twist on Leftovers! Haha, I resisted the urge to click the link, but almost did before I read your comment! I can’t wait to get one and use it! You also need to add the bamboo steamer to this section! We’re in the middle of writing a dim sum in the bamboo steamer post and will link it to your blog when we do! It’s all because of that great gift. We can’t steam often enough!